Addressing press in Lahore, Qureshi said the Foreign Office was calculating the annual loss. He said it would come to USD 10 billion annually. 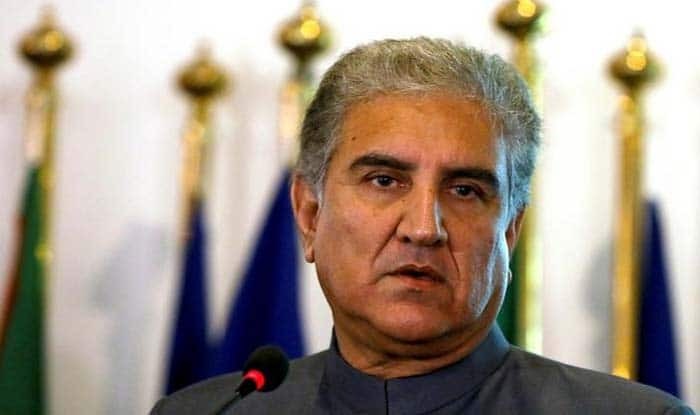 New Delhi: “Lobbying by India” could see Pakistan blacklisted by the Financial Action Task Force (FATF), said Pakistan Foreign Minister Shah Mahmood Qureshi. He estimates an annual loss of $10 billion if Pakistan remains in the watchdog’s grey list. “We have tried to remove Pakistan the from the grey list and India wants us to be pushed to the black list. Inshallah, we will try our best to get us out of the grey list,” he said. In June last year, the Paris-based FATF had placed Pakistan on the grey list of countries whose domestic laws are too weak to tackle money laundering and terror financing. The FATF has asked Pakistan to reassess the operation of banned terrorist outfits in the country. Ahead of the team’s visit, Pakistan wrote to FATF president Marshall Billingslea to appoint another member as co-chair of the Asia-Pacific’s Joint Group, in place of India, for a fair, unbiased and objective process. During its three-day visit to Islamabad in the last week of March, a delegation of the Asia-Pacific Group (APG) on money laundering, an affiliate of the FATF, expressed reservations over insufficient physical actions on the ground against banned groups to block the flow of funds and activities. The team members said that activities of banned organisations and non-profit organisations were unchecked at the provincial, district and grassroots level where they could raise funds and hold meetings and rallies. The FATF noted that Pakistan had revised its terror financing risk assessment but did not demonstrate a proper understanding of the terror financing risks posed by the Islamic State group, Al-Qaeda, Jamaat-ud-Dawah (JuD), Falah-i-Insaniat (FIF), Lashkar-e-Taiba (LeT), Jaish-e-Mohammed (JeM), Haqqani Network and persons affiliated with the Taliban. Prime Minister Imran Khan’s government recently banned Mumbai terror attack mastermind Hafiz Saeed-led JuD and its charity wing FIF. It declared JeM and five other groups “high risk”. It also arrested over 100 members of the banned outfits including the son and brother of JeM chief Azhar Masood.